Born in Aleksandriya, Kherson pr. (Ukraine), 1899. Studied at Odessa Art College 1936-41. Active in Odessa, Ukraine. Important shows include "All Union Art Exhibition", Moscow, 1955. Died c. 1980. 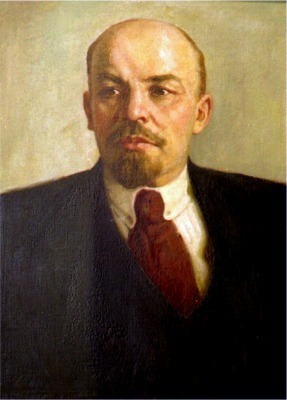 "Vladimir Ilich Lenin at the Smolny Institute", oil on canvas, 100 x 160 cm. Copy of the famous Brodsky-painting by Grigori Efimovich Shpolyanski. 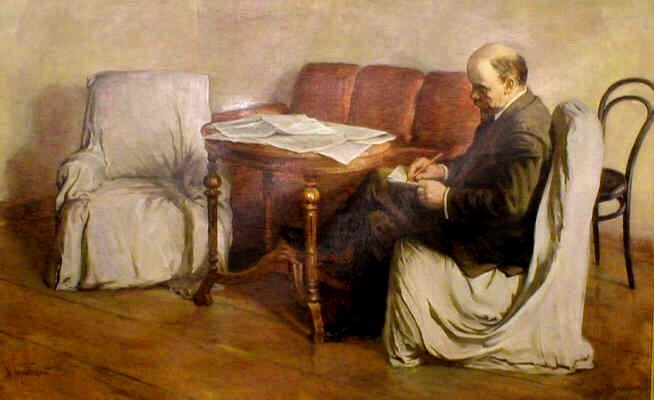 A detail of "Lenin in Smolny" by Shpolyanski is the cover image of the book "The Parallax View" by Slavoj Zizek, MIT Press, Cambridge USA - London, 2006, and also the cover image of the MIT Press Catalogue Spring 2006. "Lenin", oil on canvas, 89 x 66 cm, 1940 (left). 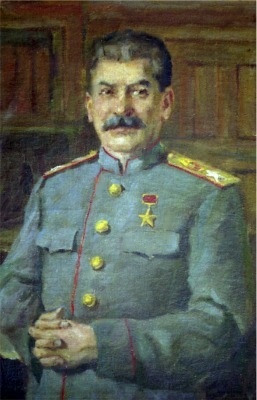 Stalin", oil on canvas, 88.5 x 58 cm, 1949 (right). This painting, owned by the Horvath collection, is currently on loan to the House of European History in Brussels.